YES, this definitely was the worst move ever made for daytime TV. I still hold out hope for OLTL to come back but realistically know it won’t. On Friday’s GH when Nora Buchanan guest starred and made all the references to life continuing on in Llanview, I was thrilled and smiled all day! Thank you, Frank Valentini!! Me too! Give me a inch and I will take a mile. Would love more updates on the families. Still pray every day that ABC right this terrible wrong, definitely the biggest mistake they ever made! It was a huge mistake by ABC to cancel these beloved soaps. Millions of fans are still boycotting ABC and clamoring for these dramas to be returned to daytime. Refer to the Facebook page, “Save AMC & OLTL” for more info. Why they got rid of two shows that people had watched for decades was beyond stupid. BUT The View is the worst show on TV and it’s still on. Get rid of it. Just a binch of hateful, irritating, old hags who think we care about their opinions. Hated The Chew. Never watched The Revolution. If the View would get rid of that harpy Joy Behar it would be a tolerable show. I don’t watch The View, but at least Joy is there based on her own merits… as opposed to the two airheads who only occupy those chairs because their daddies were famous Republicans. You means “RINOS,” Satan….Republicans in name only! Neither of those “airheads” represents the GOP point of view…they are just shameless self-promoters looking to extend their 15 minutes of second-hand fame, especially the particularly mouthy blonde one! Refer to the Facebook page, “Save AMC & OLTL” for more info. The man responsible for cancelling both AMC and OLTL is Brian Frons. Yup. Honestly one of the worst decisions was him being the head of ABC Daytime. If can’t revive both shows then,yes,cast members from both shows should do a soap that combines the elements of the original shows. Besides,I’ve always wanted to see Susan Lucci and Erika Slezak share scenes together. That unfortunately would never happen, they couldn’t afford to pay that many top stars. It’s the biggest screwup ABC daytime ever made. I was shocked. My husband was really ticked because he loved AMC. When he worked evening shift I would have it on and he got hooked. We were watching our local news when I heard it announced. Total BS. I loved AMC and OLTL and I would be so happy if they resumed production of them. I haven’t watched the ABC network since. I would love to see the shows brought back on. I still miss watching them. I do not watch all that talk crap that is on now and never will. ABC made a big mistake and they should correct it.There is too many talk shows on tv. With soaps you have a reason to tune in tomorrow but with talk shows there is really no reason. Please bring them back before it is too late. I say bring back oltl and amc,,,obviously, the shows that replaced it couldnt survive,,,,it was a bad descision on abc’s part. It’s always a disappointment when a soap opera is cancelled. Admittedly, I was not and still am not a One Life to Live fan, so their cancellation did not upset me. However, canceling both soaps in a one-sweep kick was horrendously insulting. The online reboots of both soaps, while horrible handled in terms of production, were well written and acted. It was nice seeing American soaps handled in new light, and it’s sad that TOLN could not produce second seasons of each. As for ABC reviving them, I ultimately say “NO” to that, because time has moved on, and it just does not make sense in my book, especially when many cast members have passed on and moved to other gigs. Now, if ABC were adamant about reviving them, I’d do so in a one-hour merged platform on primetime for a six-week run during the summer, to help experiment with some edgier storylines and production values. Ultimately, let both of the soaps live in their eternal afterlife, and let’s focus our efforts on supporting the four remaining soap operas, and make them better than they are right now, because they all need it! If it was possible to return our shows I don’t think it would be as hard as you think. Yes people have passed or moved on but that is why recast happen. It would take adjusting to new actors, writers and producers but it would be worth it. At this point, in 2019, I don’t see the point or reward for doing that. Yes, recasting would likely happen, however, recasting a vast majority of the casts — which I am fairly certain they’d have to do — would just look messy. Had this been an option in 2014, I would’ve been more receptive to it, but I don’t see it happening. What I think would be best would be bring on a few characters from each soap, either recurring or permanently, to General Hospital and call it a day. @Scott….As a longtime GH fan, I have to admit the notion of “bringing a few characters from each soap” to my show is a grating one! Why is Port Charles the designated dumping ground for all those former soapsters from other fictional locales?? This practice has decimated the GH I once knew and loved! It’s gotten beyond absurd that those of us who have loyalty to our own set of legacy players be expected to welcome an almost constant flow of interlopers to Port Charles!!! Why are we the only ones who are subjected to their usurpation of the daily precious hour GH is allotted??? I don’t see characters from your beloved ATWT or GL invading Genoa City, or those from AW or SB turning up in Salem! Yet, we GH-ers are supposed to be delirious with joy whenever someone from AMC or OLTL crashes our favorite soap’s canvas! Enough is enough! 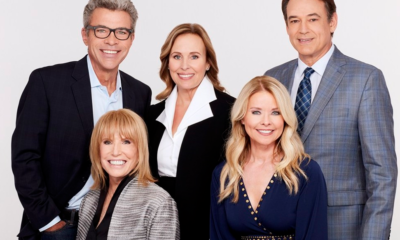 There are plenty of former cast members from our own soap we would love to see return to Port Charles and it’s about time our wishes are heard and honored. Shay, I say it as a fan of General Hospital fan. The issue is this: ABC owned all three soaps, which is what allowed them to crossover between soaps. CBS and NBC are more difficult, because while the networks did air them, the characters are owned by different companies, not the network like ABC does. Your anger is misplaced at me, Shay, so please don’t continue to put it my way. Cancelling the soaps, was the worse thing, that abc, and Brian Frons, ever did. I use to enjoy, abc, day and night, and now, I only watch one hour of General Hospital. I have been boycotting abc, day and night, ever since they cancelled our soap operas, and will continue to boycott abc, until they put the soaps back on. My daughter and I absolutely adored All My Children.” We referred to the show as “The Children“. It was something we could share and talk about with each other. We enjoyed reading about it, watching it, hearing about the actors lives and following each and every storyline. The actors seemed to become part of our family. We continue to miss the show but the first five years were agony without “The Children.” We would definitely support a comeback!!!!! I wold call One life to live just One life. Everyone knew what I meant. They also knew not to interrupt me during that time. Thank God for dvr. Learning of the cancellations was one of the worst days of my life. For me, it was like a death in my closest family. That may sound silly to some people; but, I watched One Life to Live from day one and All My Children intermittently for years. There is no excuse for the action taken by the alphabet network/mouse company. There were numerous alternatives to cancellation. The powers that be need to rectify this horrible action. Either bring back AMC and OLTL as half hour programs each. Or combine them into one hour long show. Either way, I hope they don’t try to do it on the cheap. Personally, I’m for a combined program. Both were created by the brilliant, forward thinking Agnes Nixon. Both are set in Pennsylvania. They have a history of crossover stories. Both shows have sadly lost important cast members due to death. I’d call the combined show All My Life to Live. Now, where to shoot the show is an issue. Studio space in NY is prohibitive and it’s not cheap in LA. What is Prospect Park doing with the facility they built in Connecticut? I would not want anything to do with PP. Their production was horrible. Canada is inexpensive that is why most Hallmark shows are filmed there. I believe there is a connection between ABC and Hallmark channel. Many actors that are in soaps also work on Hallmark shows. Of course it was and still is the absolute worse decision in soap history. But , you know, the media has kept a tease of returning OLTL & AMC to their fans. Well, we are still here and still hanging onto the hope for their return. So to the power people what’s happening? You know the fans want this!!!!!!!! So many bad things happened in my life. Just hearing the opening music lifted my spirits. I would love to have the two soaps revived. When they returned online I watched and cried at the same time. The online show was horrendously produced but I watched because that was all we had. I still America broken hearted over the loss of our beloved soaps. These shows lasted some fourth plus years. Their replacements didn’t make it four years. Pretty bad decision ABC! I balled and balled when I heard they were cancelled and again on the finales, was horrible. I wish they would bring them back. It wouldn’t be the same since some wouldn’t be available since they moved on or passed away, but do what they can would be awesome or combine the two as one soap even. In the meantime I’d love if they brought back more past characters from both to general hospital from time to time. I am in hopes of All My Children and One Life to Live returning to ABC. I miss the shows. I watch the other shows but it’s not the same. My days are completely messed up without my shows. I was and still am mad about it. I refused to ever watch an episode of “The Chew”. It was so dumb to take them off the air. There is nothing worth watching in the time slots except for other soapies that I now watch as an alternative. But still I miss the others. It’s awesome tho that some of the characters still live on in the other soapies. Love that!! Brian Frons, a man with an odd personal loathing of soaps, made the biggest mistake in daytime television history. He is no longer with ABC, a network that continues to struggle in both daytime and prime time ratings. Of course the new ABC executives should bring these iconic shows back–for their own preservation. I’ve consistently suggested that Atlanta, a major city of 6 million people, in a state with 30% tax rebates, and only a 2-hour plane trip away from NYC, is the answer to production costs. Both stars of AMC and OLTL, Susan Lucci and Erika Slezak respectively, have recently worked there. It can be done. As to the first question regarding consolidating daytime and making the “remaining shows stronger,” there was absolutely no positive benefit to daytime or any remaining soap! Many great soaps have been thus cancelled over decades, primarily because of waning ratings. But the spin given when OLTL and AMC were cancelled was particularly ludicrous and insulting, not only to viewers of these landmark soaps, but also to the daytime TV community as a whole. I think that many of us are disgusted by what passes for daytime entertainment these days. Political allegiances aside, I find much of the so-called “talk” shows not really worth the “view.” The constant bickering and jockeying for position, only to have a “moderator” cut to commercial each time she hears something she doesn’t like, are headache-inducing. And by all means, let’s give ubiquitous, overexposed TV personalities/sportscasters/singing-competition-hosts as many new shows and as much airtime as is possible… The phoniness in the “banter” and contrived nature of these shows are pervasive to the point of nausea. I’m not a fan of the courtroom shows either. I don’t care about these people or the know-it-all, overpaid judges. Which brings me back to the soaps. 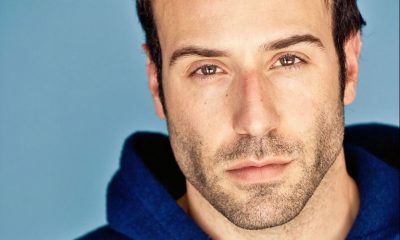 Soaps feature characters about whom the audience cares. This endearing feeling and allegiance can last decades. Give me back the days when the number of soaps on the daytime airwaves numbered in the teens, with a few clever game shows thrown in for good measure. And all such soaps could tell their gripping, engrossing stories in half an hour each day. But if we must settle on the four remaining soaps and, if we choose, enjoy them for as long as possible, so be it. James…as usual, very, very well said!!!!! Thank You. Have a good one, Brother. Thanks a million, Jay! Best to you and your loved ones, Friend! 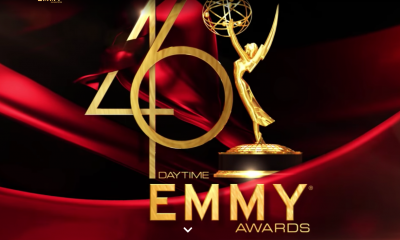 If there was some way to have a Daytime Soaps web service, it’s possible they could bring back some of the soaps, and possibly move the four remaining network soaps to that service. I don’t know how or if a streaming service would work for soaps. I’d rather have a new episode of each show air every day, M-F, with the shows available for a couple weeks if you miss any. I’m fine if things stay the way they are, with the four on network TV. I watch three of them, and that’s enough. 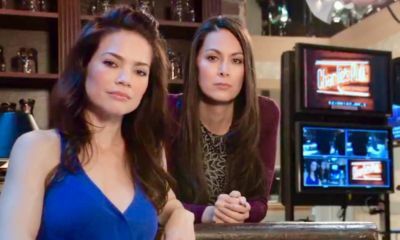 Streaming worked for TOLN; the downside of that was TOLN did not produce both soaps properly, which is what led to their ultimate cancellation and returning to ABC’s rights. Honestly, Fox should’ve taken on Guiding Light, As the World Turns and All My Children to create themselves as a leading network in television; I may not agree with Fox, in terms of political climate, but it would’ve put them into a new category by building a solid daytime programming foundation. Miss these show and all the people on them. I sure wish you would bring them back. I watched them everyday. ABC created the glory days of soaps with its Love in the Afternoon brand and I cannot understand how it unceremoniously messed its own bed. The loss of four soaps (AMC, OLTL, and CBS’s ATWT, GL) in a few short years was disastrous. Daytime used to really matter, the daytime dramas, network game shows, ABC’s Afterschool Specials! Now it seems we have an endless sameness of courtroom train wrecks, rotating talk show hosts who never seem to click, watered down morning show leftovers… If television with all this cable, streaming, and such is enjoying some sort of golden age, why can’t broadcast make the most of its own legacy? Daytime matters. In fact, even as a working man, I have such treasured memories of daytime, its stories and how they entertained, informed, and taught. I really do believe a network can succeed with a new daytime drama if it only tries and makes smart choices about it. Personally, I think it was a major mistake for yanking One Life To Live and All My Children! We see other shows coming back and doing this idiotic “Reboot” ( which seems to be the new thing, but when a show like Roseanne came back, it was not a reboot, that was just diving back in and telling more stories )…..I believe that ABC could totally fix this and bring back the soaps, which would not only be a pleasing thng for fans, but it can show the other networks that it CAN be done and that soap fans CAN be HEARD! The end of Guiding Light was the worst move for me! The CBS cancellations hurt me the most of all; bawled my eyes out to both cancellations. However, I blame Proctor & Gamble more than I blame CBS. It’s interesting; As the World Turns had been probably my greatest soap love, or maybe tied with Another World, but by the time it was cancelled, I almost considered it a mercy killing. That’s not to say I didn’t think it could have been revived–I never lost faith in its potential, especially with that stellar group of long-time cast members that were still there to the very last day–but it had become so clear that P&G was never, ever going to allow it to return to its potential again (or else hadn’t the foggiest notion of how to make that happen, take your pick) that I just thought “Fine. I’ll miss it, but I’m tired of watching it die a slow death.” I should theoretically have been devastated the same way you were, Scott, but by that point, I think I just didn’t have devastation left in me. I’d known it was coming (ESPECIALLY after Guiding Light got cancelled), and I more or less accepted it. What has hit me a little harder–when I think about it–has been my soapless existence for the last five or six years, though, more or less since ATWT was cancelled. I did pick up One Life to Live after ATWT was gone–if nothing else, My Favorite Margo, Hillary Bailey Smith, was on there, and she’s always been utter joy to watch–and enjoyed most of the last two years, but since then, with the exception of about nine months of General Hospital (it doesn’t take that long to get tired of Mobsters R Us, which taints the rest of the show, so you can’t just ignore it and watch the other stories), I just haven’t had any soap in my life I cared about enough to watch with any regularity, and that’s the first time since the mid-1970s that that’s been true. When I stop to think about that, I get a little sad and misty, because if you had told me circa 1988 that that would ever be possible, I would have said you were crazy. I miss things like Bauer barbecues and Hughes Christmases and those traditional gatherings that used to anchor the soaps over time (or at least the good soaps) and that feeling of continuity, and I wish I still had a soap or two in my life that gave me those little glimpses of surrogate family togetherness. In truth, it had been a long while since I’d really gotten much of that even out of the Procter & Gamble soaps, since all of that good stuff had been de-emphasized, but there were still some vestiges, and it was comforting. Now there’s none of that, and it really is sad. For me, the P&G soaps fell victim to being in New York, and the fact that the production company simply wanted out of soaps for a significant amount of time. Had more attention been given, I’m sure they could have found an executive producer to take over for Chris Goutman — who I don’t believe was all that bad of an executive producer, he just fell victim of the times, too — that could have done something powerful to keep the soap running. However, I don’t think anyone behind-the-scenes and on-set could have done anything to keep it running. The same for Guiding Light. I also find it interesting, that at the time of its cancellation, Josh Griffith (who is now the head writer/co-executive producer of The Young and the Restless) was on the writing team of World Turns at the time of its cancellation. Ultimately, I don’t believe Jean Passanante was as bad of a head writer as many have suggested, however, I do believe that P&G firing Hogan Sheffer in 2005 was the ultimate beginning of the end for our soap. I would’ve loved to have seen Lorraine Broderick return as head writer, or even co-head writer alongside Passanante, to bring the soap to a glory worthy of surviving. I just miss the residents of Oakdale, Illinois and my Christmases with the Snyders and Thanksgivings with the Hughes. I miss those times. Stupidest move ever. I was in my home when i heard the news and went into shock. I thought there had to me some kind of rumor but found out quickly this wasn’t a joke. I loved the shows but I love all the soaps on the air since they have been my life for so many years. I don’t think reviving them would do any good because of the years that have gone by but I hope ABC learned it’s lesson. They left a very bad taste in the viewers they had for the network. I think the best they can do is to allow GH to do what they have done which is to bring the characters from those shows over for visits to the only soap they have on the network. I am still praying that Franco Baldwin and Hamilton Finn will morph back into their better characters Todd Manning and John McBain. Any sign of AMC and OLTL will make me a little happier because I’m still feeling the sting that was pulled 8 years ago. Yes. I loved both shows and still miss them. They need to either bring both back,or make it into one soap and bring everyone back that they can. 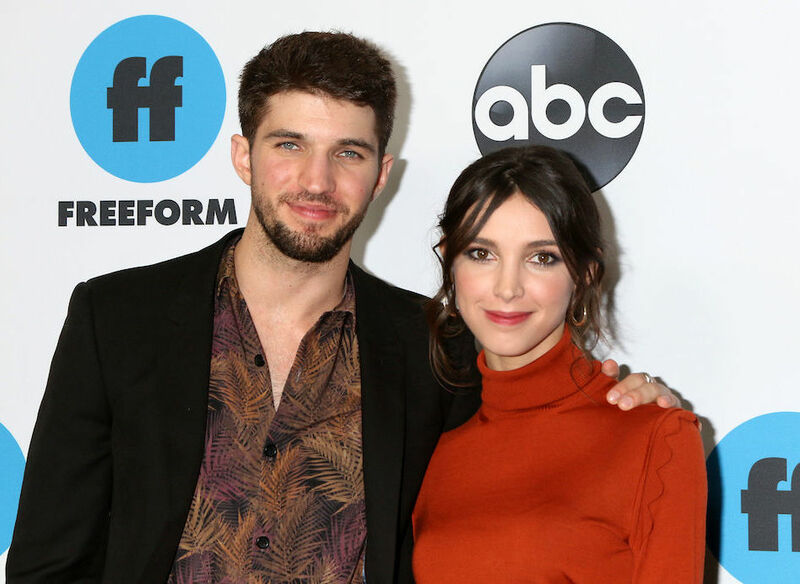 i was never an ABC soap watcher, so for me the worst move was the cancellation of Another World– it was the first of the longest running soaps in the modern times to be cancelled. I remember Lindo Dano saying at the time something like, ‘if they can cancel Another World they can cancel anything’ and she was right. From what I read and heard from fans of these shows, was it wasn’t just the fact ABC cancelled the shows, it was the manner and the attitude in which they did it. It was like they were trying to kill the genre all together, and had no respect for daytime drama, for those who work in it or the fans that loved it. I don’t see ABC ever bringing these shows back to television, but with more and more of the viewership heading toward streaming platforms, I could see these shows being reborn there– I would love to see a rebooted AW– using the old scripts, just update them, add a few more “adult” situations, with a new cast, playing the characters- soap stories are stories– that are timeless– how many times has Shakespeare’s plays been redone over the centuries–to see the story of Alice, Steve and Rachel told again, from the beginning, even with different actors, I would subscribe to platform that offer that. I agree with you, Mary SF, and I’d go back a tiny bit further than that to pick the “worst day in soap history”: for me, it was the day NBC announced that it was going to cancel either Another World or Sunset Beach, it hadn’t decided which, and by doing so pitted viewers of one against viewers of the other. (I’m pretty sure in retrospect NBC had actually decided both of them were probably going to go, and the announcement was a stunt to see if they could goose the ratings of either or both shows, which made what they were doing—at least to me—all the more appalling.) I think that’s the day I knew that life in SoapLand was never going to be the same again; it was just a nasty, heartless shot, and it really showed how cheaply NBC regarded its loyal soap viewers. (And since there were indications, even then, that neither CBS nor ABC held them in much higher esteem, NBC’s move was sort of a signal of what was to come.) I turned NBC off the day Another World left the airways, and for years I would not watch anything on it. Nowadays, since they’ve all three treated their viewers appallingly for years, it’s hard to justify singling NBC out, but in truth, there’s very little programming on any of the networks that interests me anyway. I was always lukewarm about All My Children, but I did watch the last two or three years of One Life to Live pretty faithfully, and I’ll admit it was shocking to have ABC kill both shows on the same day, but by then I’d suffered through losing the entire Procter and Gamble lineup, one by one, so nothing related to soap cancellations really surprised me. That Brian Frons could be so callous about it was indeed shocking in its insensitivity, though, and I do remember that part of it very vividly. It’s a pity Soapnet didn’t work out. I enjoyed the Another World and Ryan’s Hope reruns, and I could easily have gotten hooked on reruns of just about any other soaps from the 80s. (By starting later, they did miss the classic Another World of the 1970s, which I would have practically killed to see again; even the late 80s version was pretty watchable, however.) But then, Soapnet was an ABC production, and clearly ABC was not into soaps for the long haul, probably even as far back as when Soapnet was launched. Soapnet could have been a major player for soap operas, both primetime and daytime, had ABC not been involved. Harsh to say, yes, but the network should’ve been either a joint three-way venture between ABC-CBS-NBC, or it should have been independently funded. Wish the network could return online, a-la Britbox for British soaps, and we could stream those old-school soap operas once again. Terrible decision! I hate them for doing it . The only other one I watched is General Hospital and it’s still the only one I watch. I still miss OLTL and all of its’ actors. It was a terrible loss to daytime. I think canceling these shows was definitely the worst decision. I have been a fan of GH for 42 yrs, as I was also a fan of OLTL and AMC. ABC and Disney, please give us back our soaps. It was the worst move in the history of daytime television. Brian Frons made the actors relocate to LA from NYC and then a year later, cancelled the show. “AMC” had one of the best casts. I loved the JR/Babe/Jamie storyline, as well as Crystal/Adam, Erica/Jack, Erica/Opal, Bianca, David, Greenlee and any scene with Julia Barr. I wish both shows would come back, even as 30 minute soaps, the way many started out. I was fortunate enough to watch AMC 39 of its 41 years. When it was cancelled, I was lost. If ABC doesn’t bring AMC back, could they at least release year by year dvd sets? I would buy them, and I’m sure others would also. AMC AND OLTL are gone, forever. They can come back if they did return it would be the biggest disappointment in your lifetime. The cast/actors, the people that made those soaps your family are no longer. If, they came back people would not recognize their soaps..
A great many of the core are no longer viable. I assume some of the older actors/the favourites, have health problems, have died, have become older and tsimplr retired and the extremes of travel, hours, the long hours demanded of soap acting would no longer be of interest for the older. The younger have moved on.. The pay would be minimal – to keep 3 soaps profiting is impossible, the money would not be there. ABC could not keep/maintain 3 soaps..
ABC struggles to keep their one soap profitable, yet 3 soaps, not going to happen. Soaps rely mostly on the Boomers, the vet fans to keep them alive. There are no new viewers of numbers that would make a numbers difference. AMC and OLTL will never return.. There is not a network that would take on the financial burden of a dying gender. Without the original loved cast and writers the 2 soaps not be unrecognizable and would be a huge disappointment, if they returned. ABC made a huge mistake in cancelling both shows. Case in point, both shows that replaced them have been canceled and the shows currently in their place are getting abysmal ratings. Brian Frons is a grade A evil moron who just wanted to kill soap operas and go for cheap entertainment even though soaps can be low cost and earn a profit. My hope is that the powers that be regret their decision and bring back our shows. Please ABC, just bring both shows BACK !!! Bring the soaps back. Looked forward to that relaxing 1 hour show during the day. OLTL had the bigger target on its back, being the last NY based production and least buzz worthy of the ABC 3. However, as Michael alludes above, they were the highest rated ABC soap — producing a quality product. AMC had lost its creative direction with poor writing and casting decisions that caused the show to nose dived in the ratings. Business wise, there was no logical way Frons, who was determined to cancel OLTL, could permit the lowest rated one to continue. Frons actually toyed with cancelling GH, too. But the Revolution bombed in the ratings and GH survived. And yes, credit does need to be give to Frank Valentini for his part. I try to forget the short seasons Prospect Park produced for both shows. The actors did their best, but the production values were rather poor. See, I found that the production values of both TOLN-produced soaps were quite nice. Yes, it could’ve been a bit richer, but it did well with what Prospect Park had to work with. Had they given themselves a bit more time and preparation, it could’ve been truly beautiful. However, the mere fact that doors opened the wrong direction was off-putting, but the work put into producing them was great. They had edge and style that network television failed to provide both soaps in their final years. Shame they are no longer available for streaming/purchase, because I did enjoy them. My mom, sis and I were all devastated when we heard about AMC being cancelled. We would tape it on the VCR and discuss it, sometimes in a 3-way phone conversation. I still watch Young and Restless, but AMC was one of a kind with their fast-moving action packed stories and love stories, like Kendall and Zac, Nina and Cliff, Jesse and Angie, Jenny and Gregg, and Erica and all her men. The villains also made the show so watchable, like Billy Clyde Tuggle. Nothing like it since! It was truly an escape from real life. My husband and I occasionally reminisce about AMC characters and storylines. When AMC had character-driven storylines it was the best show on TV, period. Prospect Park’s AMC reboot on Hulu brought back the magic with beloved actors and storylines. Unfortunately I thunk AMC was once again a little ahead of its time asking viewers to watch the show on Hulu (now such a common everyday experience).